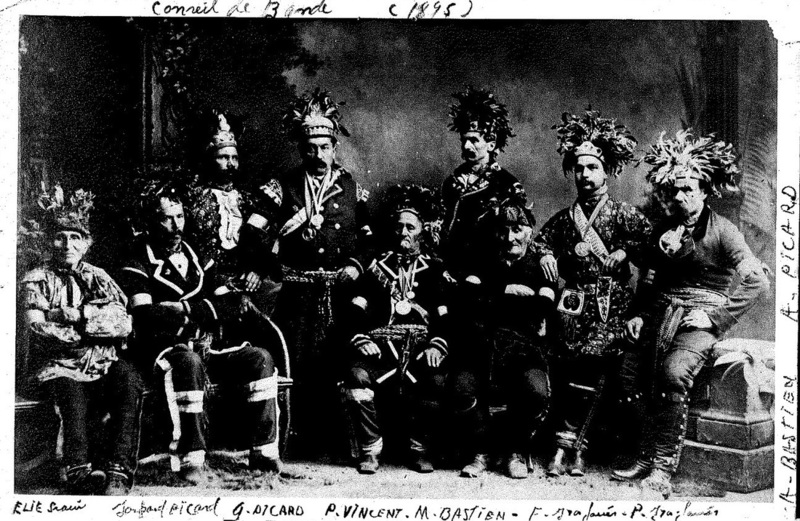 The Council of the Huron Band of Lorette in 1895. Chief Maurice Bastien (who started the Snowshoe/Moccasin Business) is shown in Center. All are descendants of the great Hiawatha. 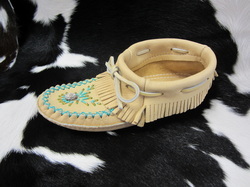 Moosehair Tufting or Embroidery is solely used on Women's moccasins. Moose, like all the animals the Hurons used for subsistence, were the object of great appreciation and exceptional gratitude. Every part of the animal was used in recognition of the great favor Mother Earth had provided for them. 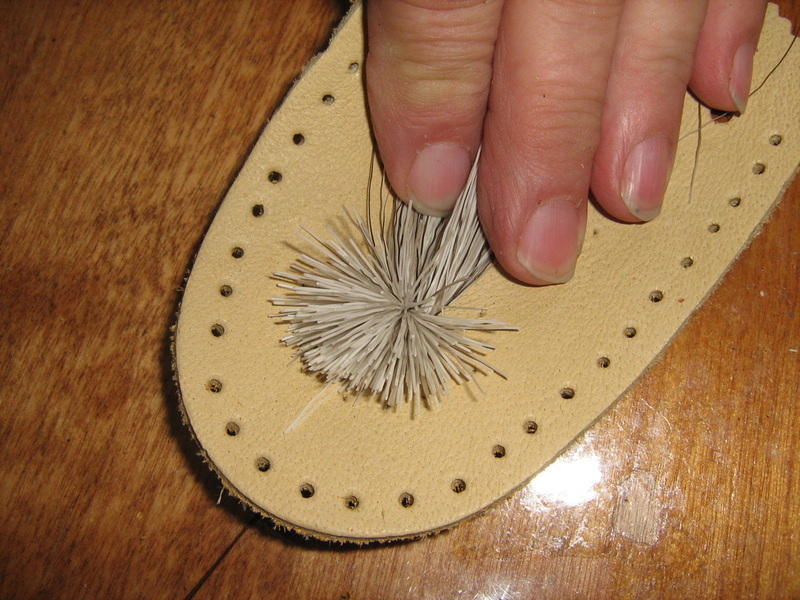 Moosehair Tufting or Embroidery is a technique exclusive to the Huron-Wendat nation, and it is with great Pride that they continue to carry on this Tradition of Respect and acknowledgement of the generosity of the Great Spirit. 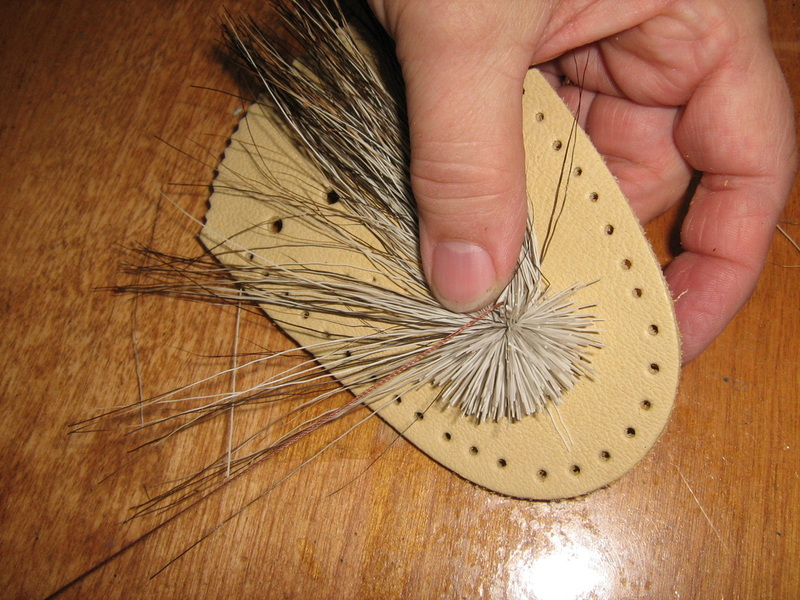 There are currently only four Huron-Wendat women who still have the skills to create this Moosehair Embroidery. It is in danger of becoming a Lost Art. Only the chin hair of the moose is long enough to use. 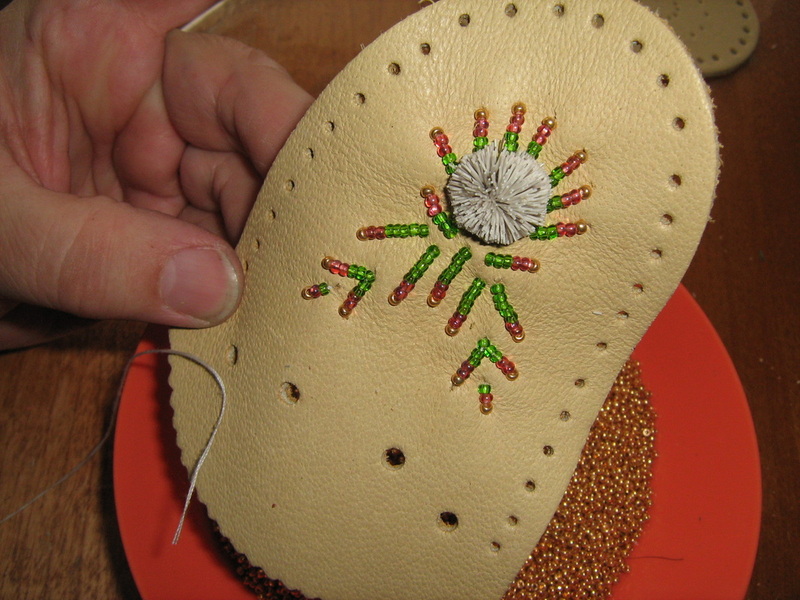 The following pictures show the involved process necessary in creating their famous Moosehair Embroidery. 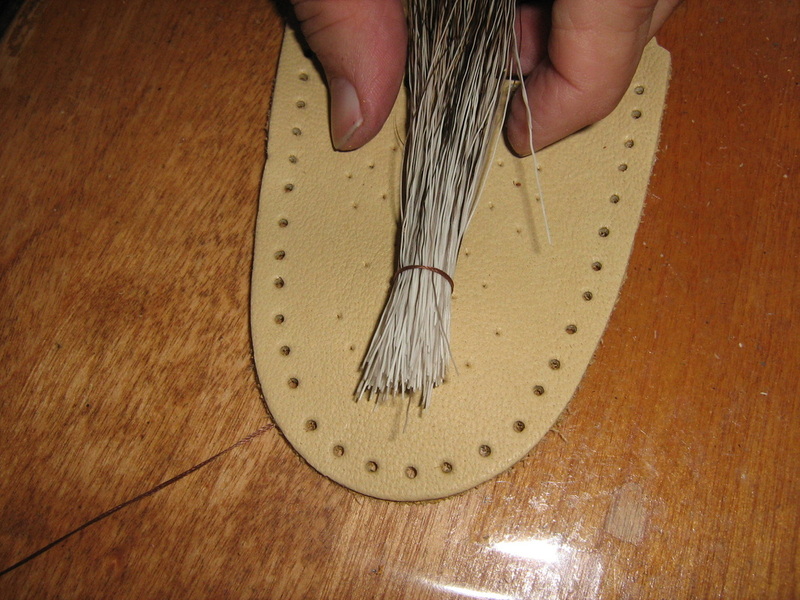 100 Moose Hairs are bundled tightly together and secured to a prepared piece of Moosehide. 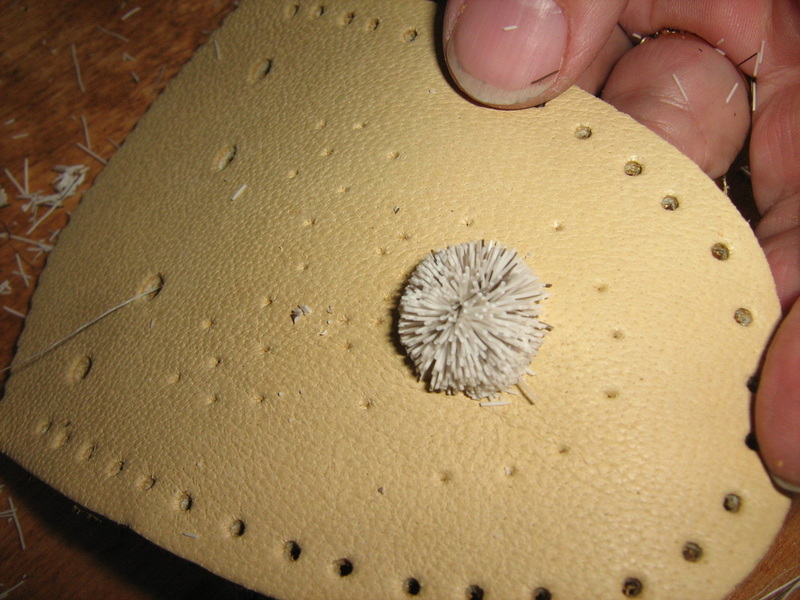 Trimming the long hairs to make a round ball or tuft. 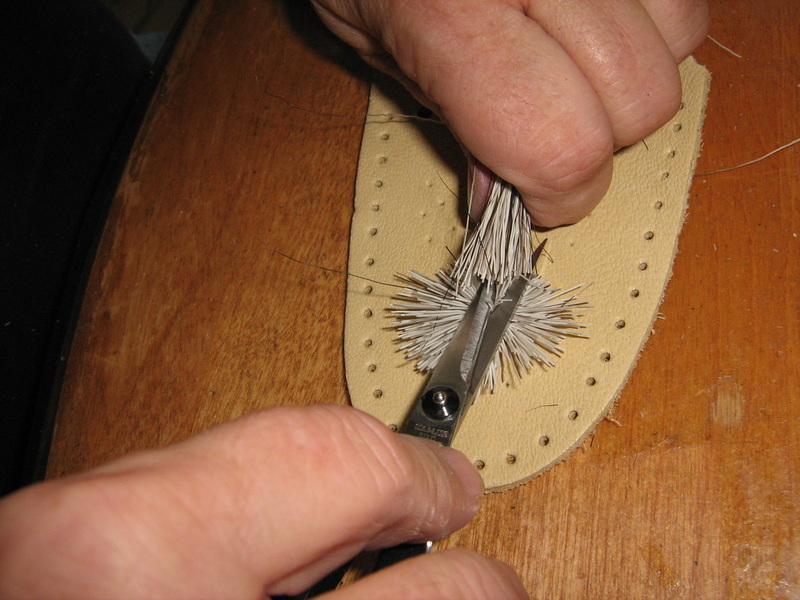 Each individual hair must be trimmed to the correct length. 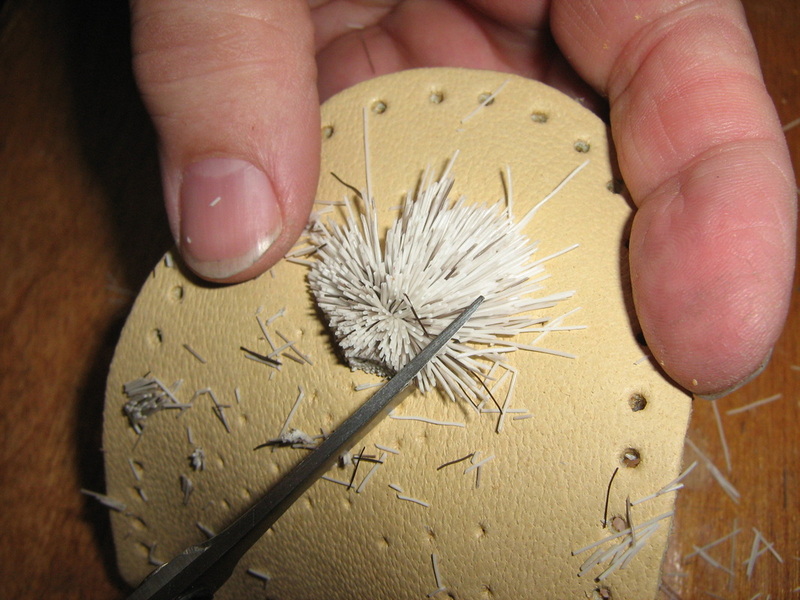 Trimming the Moose hairs is a meticulous and time consuming process. 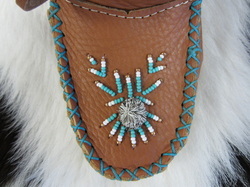 The completed Tuft is ready for the traditional beadwork. 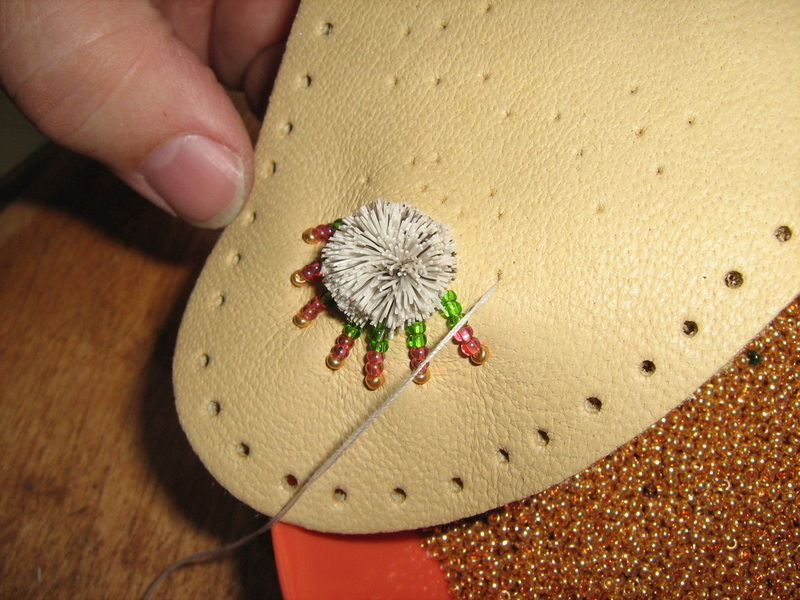 The glass-cut beads are carefully selected and lined up. 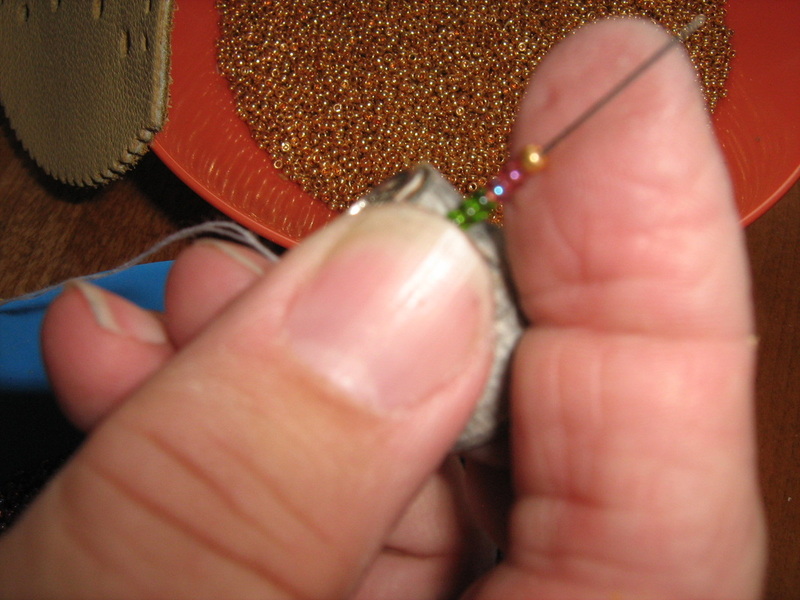 The beadwork pattern is very exact and must be done precisely. 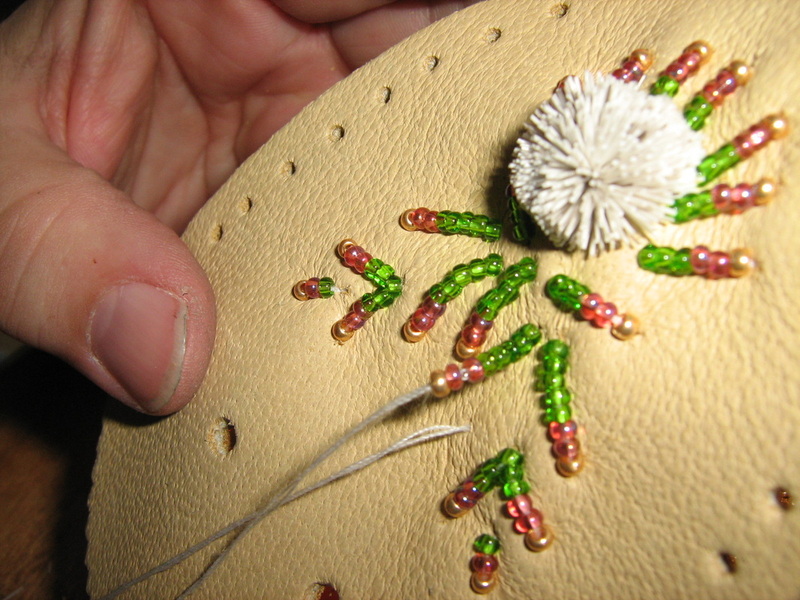 The traditional pattern used for the beads is very specific.